Pastries are to Budapest as smoked meats are to Kansas City. 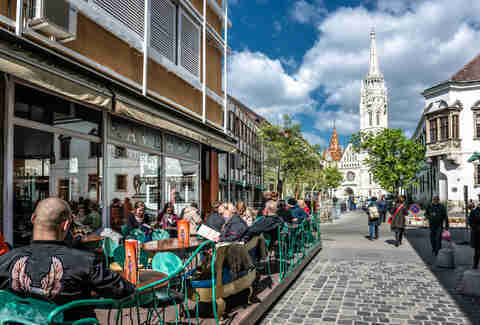 Savory dishes like gulyás (goulash) and chicken paprikash may first come to mind when thinking about Hungarian cuisine, but it’s difficult to wander the city’s charmingly-jagged streets without spotting a cukrászda (bakery/café) every few minutes or so. Around the same time, pastries became hardwired into Budapest’s food landscape, largely owing to the rise of the Austro-Hungarian Empire. “Budapest experienced major economic and industrial growth and development post-1850,” says Amy Emberling, managing partner of Zingerman’s Bakehouse in Ann Arbor, MI, which specializes in Hungarian food. 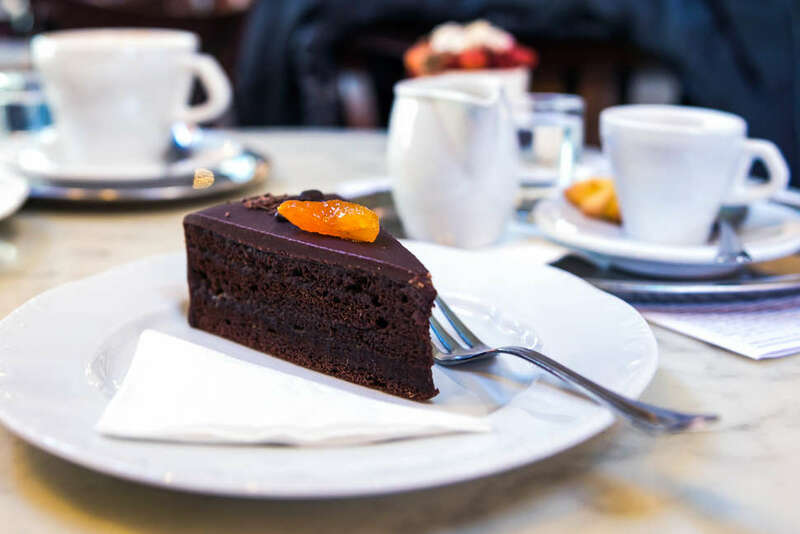 “During the second half of the 1800s, as wealth grew in the general public, they wanted to enjoy great desserts, [which] became available to them in cafés and bakeries. 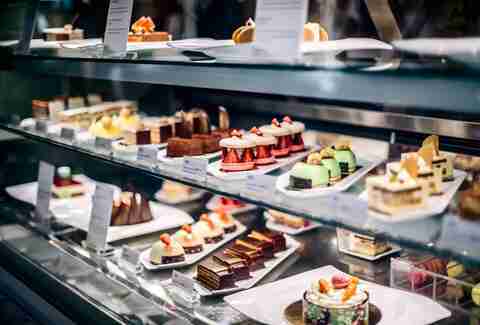 (Restaurateur) George Lang referred to Hungary as ‘the land of 10 million pastry lovers.’ This is referring to the great breadth and depth of the Hungarian dessert repertoire.” And indeed, Budapest’s range of pastries could easily rival that of a soprano at La Scala. Today, a trip to Budapest is incomplete without a visit to New York Café and Centrál Coffee House (open since 1887), two of the major players during the city’s café renaissance still in existence today. New York Café in particular is worth seeking out for its dazzling opulence and majestic scale (along with statuesque coffee drinks and hot chocolate). There’s even a meat and cheese plate they call “The Writer’s Dish,” a touching homage to a bygone, but not forgotten, era. Visiting Budapest and not experiencing the almost two centuries old Ruszwurm for a cream pastry is an offense akin to traveling to Japan without eating ramen. Arguably the most iconic sweet in Budapest, Ruszwurm’s cream pastry (krémes) is seemingly simple -- it’s essentially pastry cream sandwiched between two thin squares of puff pastry -- but imagine the thickest custard in the world, times ten. The secret is the addition of whipped cream, making it miraculously dense and light at the same time. On the opposite end of the spectrum, the intricate layer cake is practically its own genus when it comes to Hungarian desserts. Named after its creator, the Dobos torta is one of the most beloved, with its alternating layers of sponge cake and chocolate cream beneath a signature shard of crackly caramel. 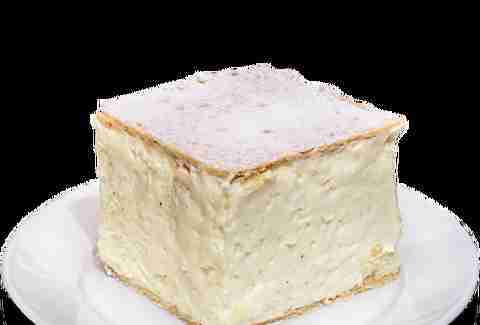 Likewise, the popular Esterházy torta is an elegant reflection of its royal roots, made with layers of walnut-based sponge cake, vanilla cream, and a coating of fondant. Sample both at the ornate Gerbeaud Café, one of Budapest’s premier confectionaries for over 160 years. 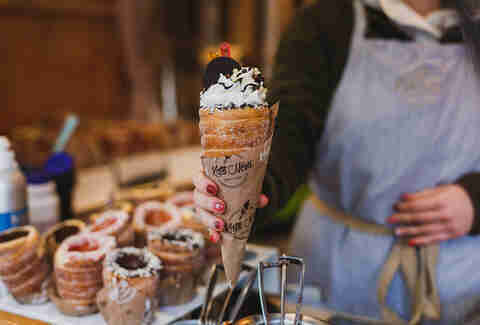 One of Budapest’s most endearing treats is a Romanian “chimney” cake known as Kürtőskalács. At Molnár's, thin strips of dough and caramelized sugar are shaped and baked around a wooden dowel, resulting in a cylindrical, hollow pastry resembling a chimney. These yeast-based cakes are popular at festivals and celebrations, thanks to their whimsical, spiraled structures (a perfect vessel for ice cream) and toppings like cinnamon, coconut, and poppy seeds. It’s impossible to talk about Budapest’s pastry culture without discussing the influence of Hungarian-Jews; after all, Hungary had the largest Jewish community of any country in Central Europe prior to WWII. Pastry chef Rachel Raj is the city’s undisputed queen of Jewish confections, and many consider her bakery’s flódni -- a short but stunning tower of fruit, nuts, and pastry -- to be the model to which all others aspire. 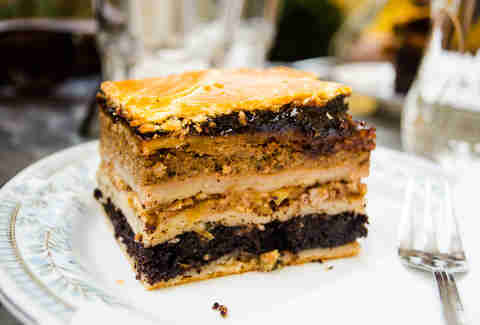 Rectangles of flaky pastry separate immaculate layers of poppy seed, walnut, plum jam, and apple fillings, making for a lightly sweet, slightly tart daytime dessert. Brittany Ross is a Thrillist contributor.